Your walk begins in the beautiful town of Rieti, by the waters of the river Velino. 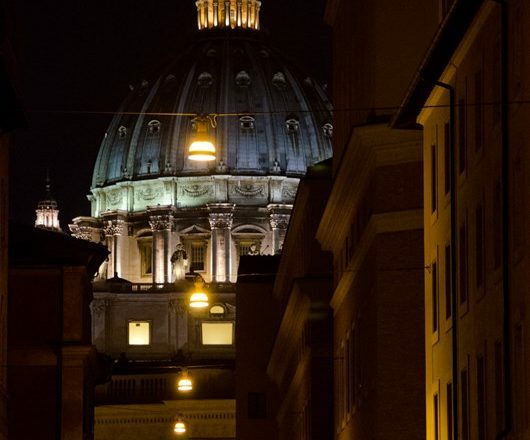 You follow part of the Via Salaria (the Salt Road) which connected the Tirrenian coast with the Adriatic coast, through lush green countryside and olive groves, before reaching the climax of the Via di Roma; Rome itself and the impressive Basilica of Saint Peter. £680 per person based on two people sharing. Additional supplement of £70.00 for one person walking alone. 7 nights accommodation in hotels or agriturismo with private bathrooms; breakfast each day; transfers as mentioned in the itinerary; walking maps with route instructions; luggage transportation; local back-up. The WWF has created a trail along the river here which allows visitors to admire some of the most beautiful corners of Rieti, surrounded by greenery and in pleasant coolness thanks to the waters of the river Velino. 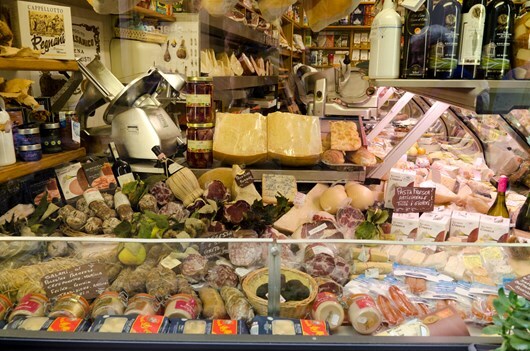 You will be able to wander around the streets of this splendid town and enjoy a tasty dinner in one of the many characteristic local restaurants. A guided tour of underground Rieti is available. Leaving Rieti today you will walk along part of the Via Salaria (the Salt Road) which connected the Tirrenian coast with the Adriatic coast. 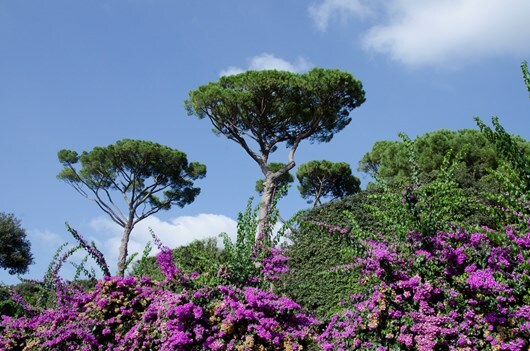 The village of Poggio San Lorenzo dates back to the Roman period and nearby is the famous animal park ‘Giardino Faunistico di Piano dell’Abatino’ where you can walk among downy oaks, holm oaks, field maples, manna ashes, Turkey oaks and hornbeams. The park is also home to around 300 native and exotic animals including sloths, chital deer, Bennett’s tree-kangaroos, meerkats, lamas, roe deer and raccoons. The scenery is particularly beautiful today thanks to the combination of ancient oaks, the archeological area of the ancient Sabine town of Trebula Mutuesca and the church of Santa Vittoria. Continuing on your way you will reach the village of Poggio Moiano which rests at the foot of Mount Moiano and is famed for the floral pictures created for the solemn procession during the Feast of the Most Sacred Heart of Jesus (the last Saturday in June). 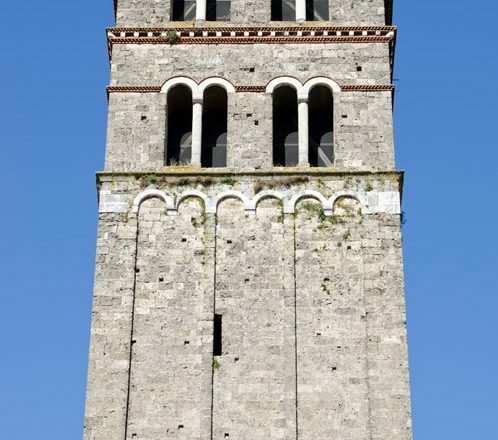 Also in the area protected by the Lucretili mountains is the village of Scandriglia, another little marvel which we will encounter today.At the end of the today you can visit the sanctuary of Santa Maria delle Grazie, which has welcomed a good number of saints, before you are transferred to your hotel in Osteria Nuova. This morning you are transferred back to the route, which today crosses the road for Nerola, where you can visit the Orsini castle perched on a high rocky outcrop. 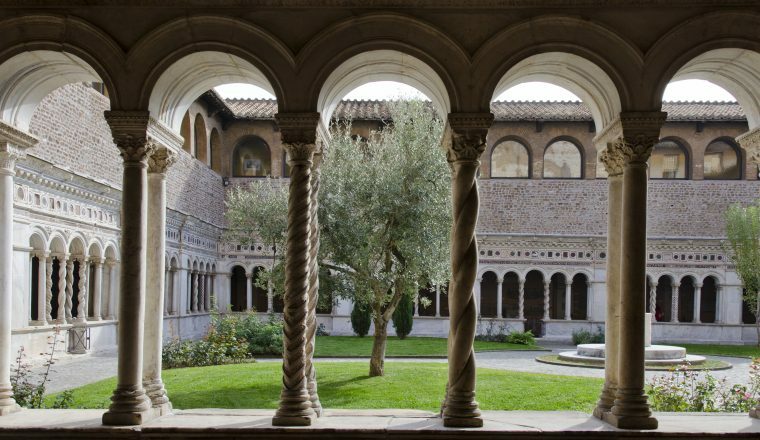 Through the countryside you walk on to Montelibretti with its 10th Century Palazzo Barberini. The olive mills here might tempt you in for an olive oil tasting. Your overnight stay is close to the old centre of town. You leave Montelibretti and soon the olive groves of the hills give way to vast orchards. At the end of your day’s walking the Via Salaria will lead you to Monterotondo, where there is plenty to see: the basilica of S. Maria Maddalena, the church of Madonna delle Grazie, and the Palazzo Orsini-Barberini, where you can admire the dining room frescoed by the Flemish artist Paul Brill.You stay overnight in the centre of Monterotondo. The route today is mostly flat walking. You will enter the Natural Park of Marcigliana, a protected nature reserve which preserves all the charm of the Roman countryside with its gentle hills and valleys marked by deep ditches. The site of one of the most ancient towns of protohistoric Lazio, Crustumerium, was discovered here in the Marcigliana area. Leaving the Park behind you will find yourself approaching Rome, the climax of the Via di Roma. The end of today’s walk brings you to Montesacro, a district of Rome which was founded in 1924. Among the places of interest is the Acqua Sacra water spring where many Romans come to fill up their bottles with mineral water straight from the source. 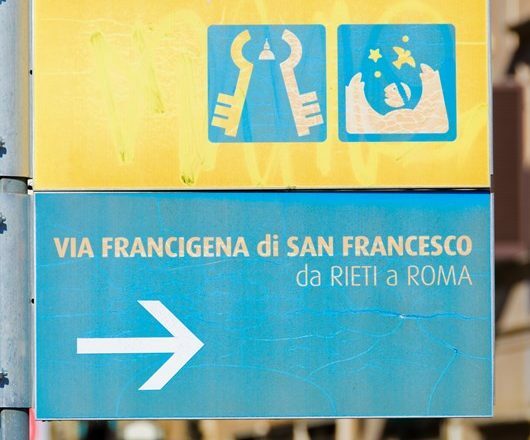 Today you complete the final section of the Via di Roma. You will pass near the Mosque and the ‘Parco della Musica’ auditorium which hosts the big musical events of Rome. You will cross one of Rome’s oldest bridges, the Ponte Milvio and continue along the right bank of the Tiber to the beautiful Ponte Sant’Angelo bridge, which since medieval times has been the most frequented route for pilgrims heading for Saint Peter’s. Pass Castel Sant’Angelo and finally, you will walk along Via della Conciliazione to reach the impressive Basilica of Saint Peter. B&B in Rome – or upgrades possible – please ask when booking.